The Akshay Kumar-starrer, based on the life of low-cost sanitary pad manufacturer A Muruganantham, will be released on January 26. When Twinkle Khanna and Akshay Kumar asked R Balki if he’d be interested in directing a film on Arunachalam Muruganantham’s life, he was initially hesitant. Muruganantham is the renowned Coimbatore manufacturer who created a machine to mass produce low-cost sanitary pads. His machines, installed in more than 20 states in the country, have also helped create awareness about menstrual hygiene among rural women. 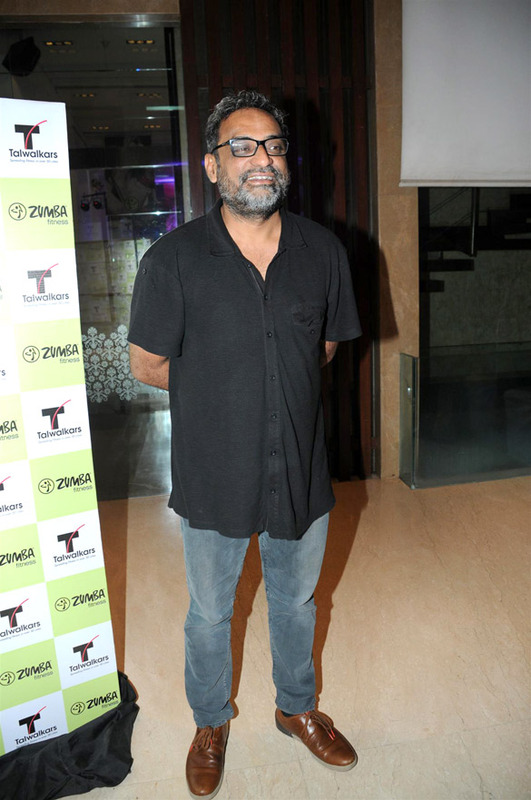 Balki had reservations not with the man or his efforts but with the idea of a biopic. The filmmaker isn’t fond of the genre, and all his films thus far – Cheeni Kum (2007), Paa (2009), Shamitabh (2015) and Ki and Ka (2016) – are fictional tales that he has written. Padman wil be released on January 26, 2018, and also stars Sonam Kapoor and Radhika Apte. 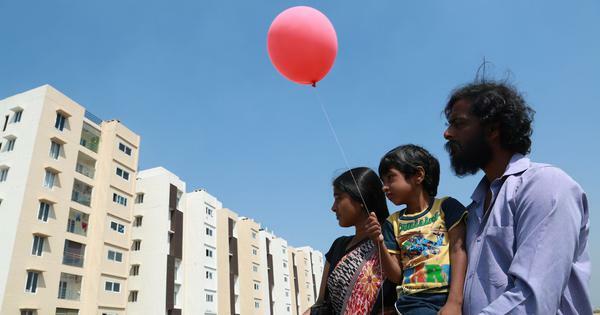 Amitabh Bachchan, a regular in Balki’s films, will appear in a cameo. The soundtrack has been composed by Amit Trivedi. 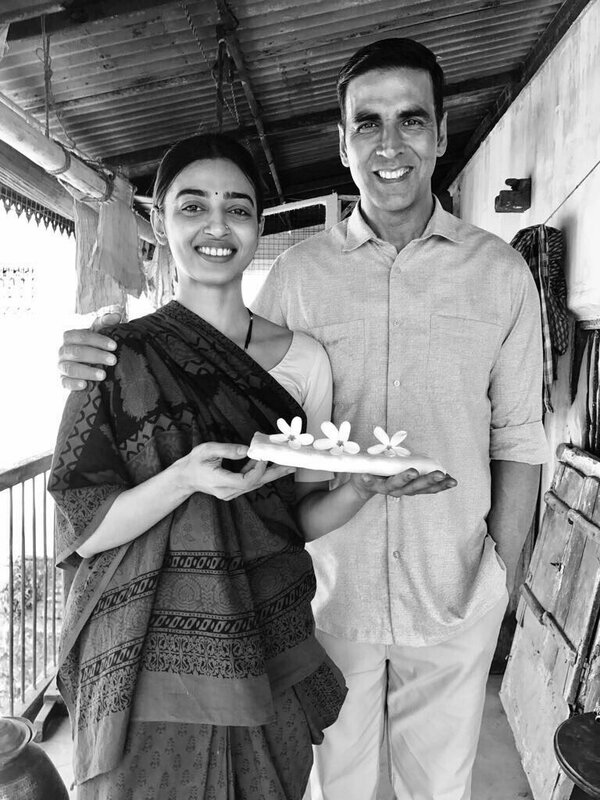 Radhika Apte and Akshay Kumar on the sets of Padman. Courtesy Twitter. Some of the witty one-liners and word associations seen in Balki’s films – chhatri (umbrella) in Cheeni Kum, hichki (hiccup) in Paa, for example – give away Balki’s ad-man influence. In Cheeni Kum, the umbrella (also a euphemism for a condom) works as a prop that facilitates the sexual tension-filled encounters between the characters of Buddhadeb (Amitabh Bachchan) and Nina (Tabu). The hiccup in Paa stands in as a one-word description of a plot situation – a child born out of wedlock; one parent is ready to take responsibility, the other deems it a hiccup, an hindrance. Photo credit: Bollywood Hungama/Wikimedia Commons [Licensed under CC BY 3.0].